The fabulous GIA i-H2O Travel Bottle holds 25 ounces of liquid. 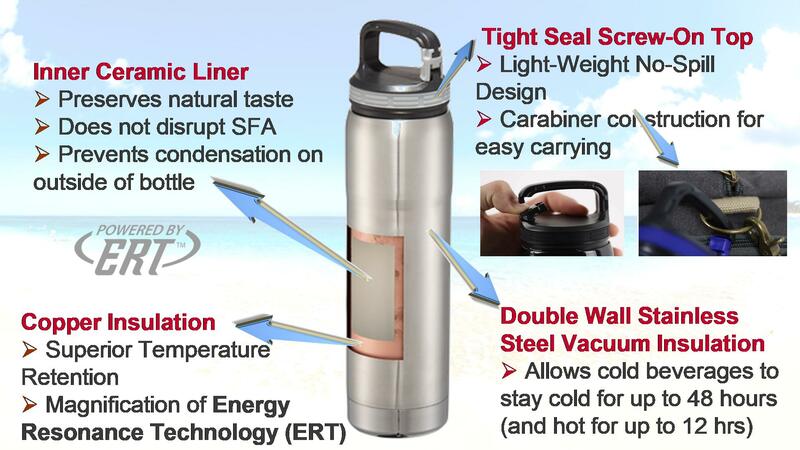 It features double wall stainless steel vacuum technology, coupled with an inner ceramic liner and copper insulation, designed to keep cold drinks cool for up to 48 hours, and hot drinks warm for up to 12 hours. 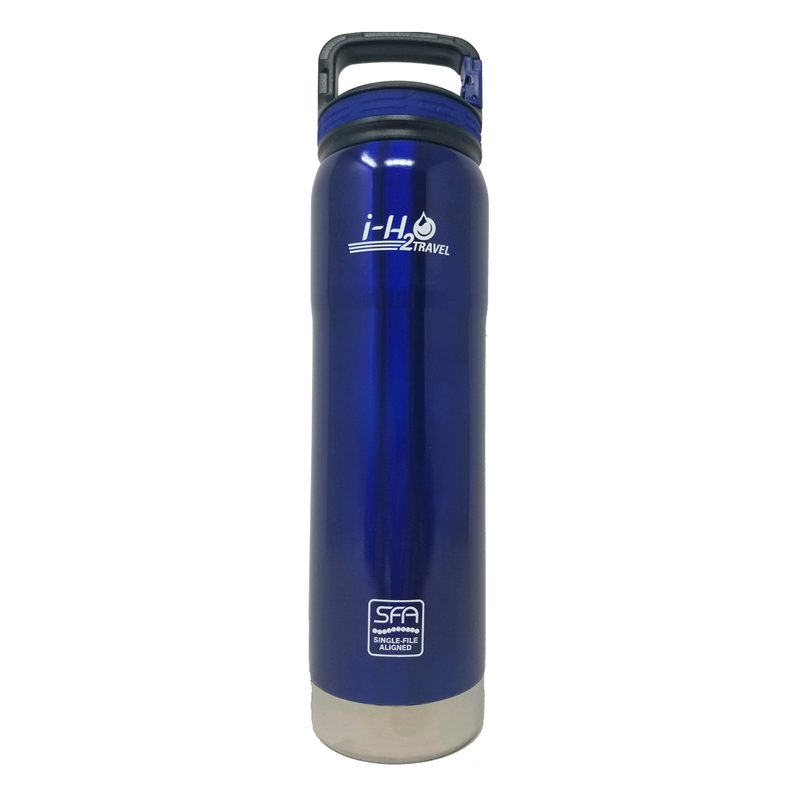 It also features a tight seal screw-on top, as well as a convenient carabiner to hook the bottle onto a backpack, belt-loop and/or hiking gear. A perfect companion for travel and GIA’s Inspired Wellness Lifestyle. 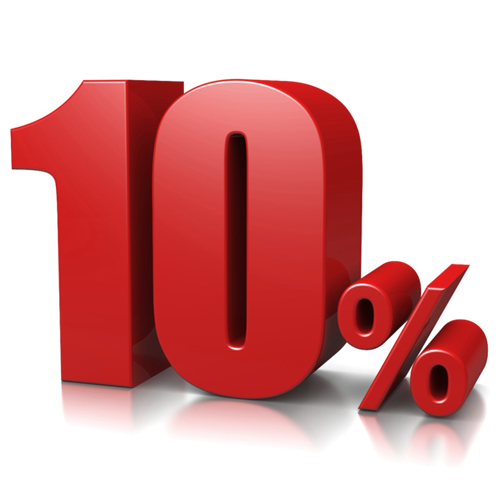 Enjoy 20% Discount when adding this bottle to an i-H2O Travel System purchase, or if you are already an existing i-H2O Travel System owner!